It’s finally December! And December means Christmas shopping. Christmas is one of my favorite times of year. Snow is on the ground, making all of my sessions white and fresh. Families are getting together, gifts are being exchanged, and so many things are being celebrated. I love Christmas shopping - it’s one of my favorite things to do in December! Do you have all of your gift purchased yet? I reached out to the horsey community to find out what everyone’s favorite horse related gifts have been, and I have put together an easy, but personal list of gift ideas for the horse lover in your life! Gift cards, especially to tack shops. I have yet to meet a horse person who does not light up at the prospect of going to the tack store with a little bit of money in hand. Let’s be honest, horses and everything related to them are expensive, so it is not often that a horse person has “fun” money to spend on his or her favorite animal. Gift cards are an easy way to make a horse lover’s day! Personalized gifts for their horse. Every horse person appreciates a beautiful leather halter with a nameplate for their horse, or a cute stall sign with their horse’s name. If you know the person pretty well and know what they will use, custom items show that you put a lot of thought into the person’s gift! Other custom ideas suggested included custom rope halters, monogrammed saddle pads, custom made tack sets, and personalized horse brushes. Personalized gifts for the rider. 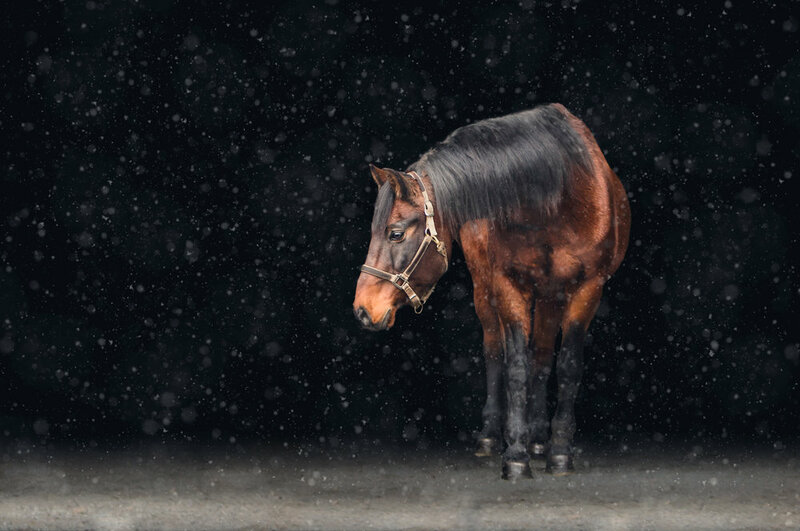 Horse people love their horses, but as much as they’d like to, they can’t be with them 24/7! There are many options for personalized horsey gifts that don’t involve the horse - making it easier for non-horsey people to get them as gifts. Mugs with pictures of the horse, custom made riding gloves, horse shaped ornaments painted like their horse, horsehair jewelry, horse related bookends, hand painted portraits, and yes, photography sessions/certificates were among the favorites. “That thing” they’ve been talking about. This one often takes a little bit more creativity and trickery, but if you hang out with a horse person for long, more often than not they will mention something they’ve been wanting to get for their horse or themselves. Coordinate a bit with their significant other, parents, or good friends on details you don’t know, and you may just have the perfect gift! Going in together on the gift is another excellent option if it is a bigger item. Training/riding lessons with their favorite trainer. Training and lessons can be very expensive, but they are so vital to the success of a horse and rider team. If the rider does not currently take lessons, then giving a cute certificate for “x amount of show fees” is another fun idea that will be much appreciated by the rider who shows. Treats for the rider - and the horse. One idea that stood out to me as a really fun, simple idea that makes a great present was gift bags. Part of them were horse treats, and part were human cookies/goodies. Wrap them up (separately!) and put them in a box, and you have a perfect horsey gift! 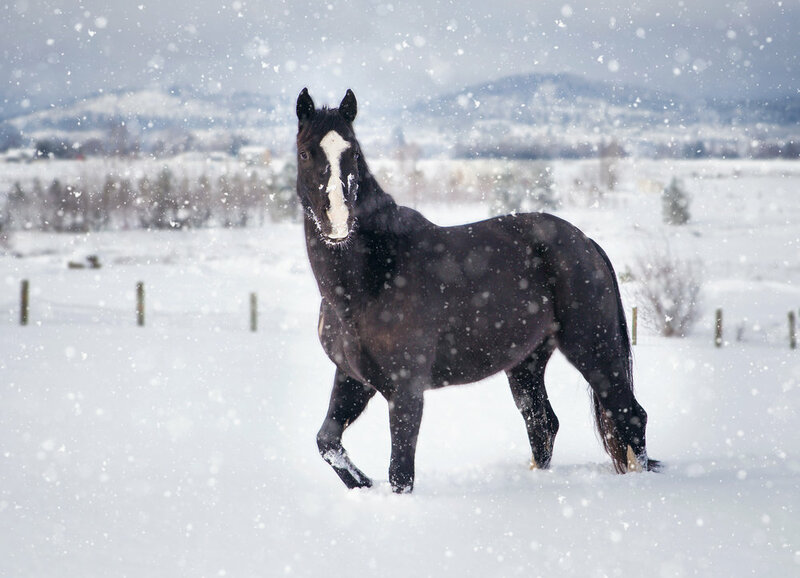 What are you getting for the horse lovers in your lives this year? I would love to hear more suggestions! Merry (early) Christmas everyone!